Pop. 759, El. 2325 ft. Enjoy watching FREE movies on HBO & over 87+ Cable Channels while swimming in our Indoor Heated Pool (90º & Open 'til Midnight) OR relaxing in an affordable "Luxury Suite or Family Suite" w/a Hot Tub, Whirlpool Tub or Sunken Tub.. Families enjoy our Basketball Court, Rainbow Playground Equipment, Picnic Area, Arcade w/Snacks, Ice Machine & Antique Shop. FREE High Speed Wireless Internet Access in "All" Rooms & Common Areas, Continental Breakfast, Coffee in am/pm, Local Calls w/Direct Dial Phones in each Room, Fax Service, Iron & Ironing Boards, Refrigerators, AM/FM Clock Radios, & Pillow-top King or Queen Beds, Air Conditioning, Non-Smoking & Handicap Rooms Available, & Designated Pet Rooms Available Upon Request. 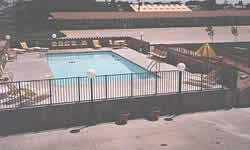 All ground floor rooms, At door parking, Heated Outdoor Pool, Basketball Court, Free HBO, Picnic Area, Hot Breakfast, in room coffee, King Size Beds, Iron and Ironing Boards, Guest Laundry, Free in room internet service, hair dryers, some rooms with recliners, all rooms microwaves & refrigerators, pets allowed with permission plus fee. 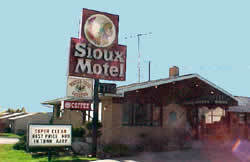 22 rooms with DD Telephones, Air Conditioning with Cable TV and HBO. Pool and Continental Breakfast. Open May thru October. 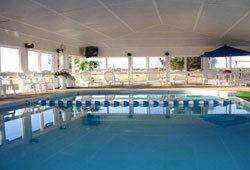 Enjoy comfortable lodging at the Range Country providing 41 great rooms at reasonable rates. 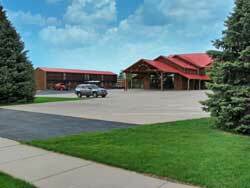 A family owned and operated business with 22 year’s experience in the motel business giving our guests friendly, excellent hospitality. Equipped to lodge individuals or large groups in historic western décor. Pets welcome, truck/bus parking.